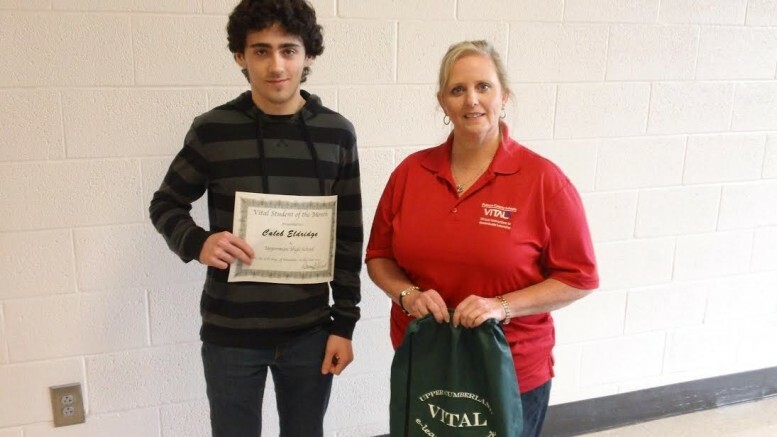 Putnam County VITAL would like to congratulate, Caleb Eldridge, UHS VITAL Student of the Month for November. Caleb is a senior at Upperman and has been enrolled in Dual Enrollment classes in his Junior and Senior year. He is the son of Gary and Jennie Eldridge. Caleb is pictured here with Donna Sherrell, Vital Onsite Facilitator.